Who doesn’t love a good BBQ sauce? 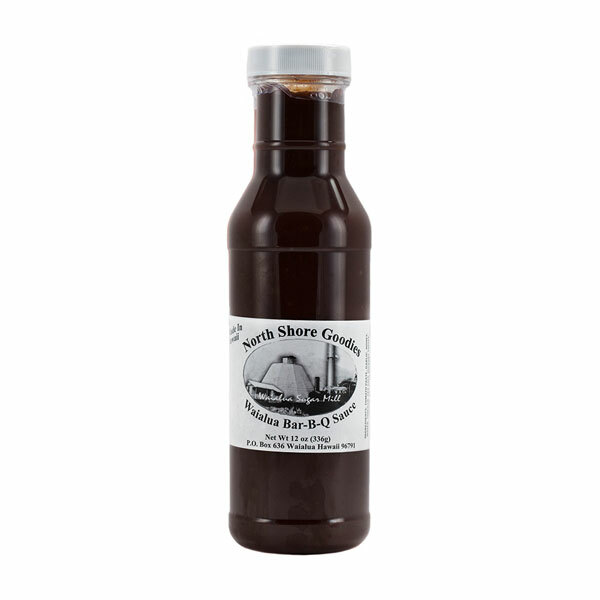 Smoky and tangy with a little kick, our Waialua Bar-B-Q Sauce will be a must-have for your next cookout. After discovering that most barbecue sauces contain high fructose corn syrup, we decided to make our own version made with all natural goodness and a little spice courtesy of local Hawaiian peppers. Use our Waialua Bar-B-Q Sauce on ribs, chicken, pork chops and even as a sauce for pizza, quesadillas, and burgers.